1,200 tons of pressure is used to affix the 'Accuthermal' compact-base to the bottom of our thermo cookers. This compact base is the key to KOCHTOPFHAUS's energy-saving method. Made of several light metal alloys, it enhances head conductivity so that heat is evenly distributed and stored.This engineering feature enable food to be cooked on a low setting and in less time than traditional cookware increasing energy saving up to 70%!One of the major advantages of KOCHTOPFHAUS's unique cooking system is that different cooking units can be stacked in order to cook multiple dishes using only one burner or hot plate. The thermal base allows food to be cooked on a low setting and in less time than traditional cookware increasing energy saving up to 70%! 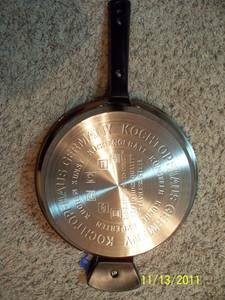 The Surgical Stainless Steel in the KOCHTOPFHAUS cookware contains about 18% chromium and 10% nickel in addition to the iron. 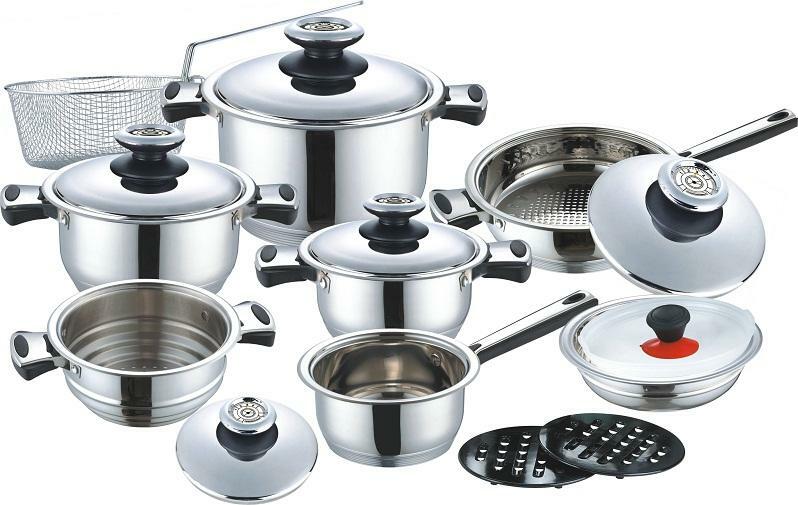 The popularity of surgical stainless steel is due to its gleaming appearance which lasts for the life of a product with just an occasional cleaning. Its excellent corrosion resistance is due to an invisible, passive oxide film that forms on the metal's surface in air. Hospitals use surgical stainless steel because it can be kept clean and sterile. There is Only a 2% Average Vitamin and Mineral Loss with The Steam Control System's™ Method of Cooking. That means a 98% Nutrient Retention with our 304 Surgical Stainless Steel. Compare these numbers to a 58% Retention when boiling in water using regular cookware. By using the normal way of cooking, in regular cookware, you lose 42% of the vitamins and minerals you and your family depend on for health. * Ref. : Paul R. McCann, Food Specialist, Author of the book "The Science of Nutrition"